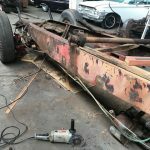 In May 2018, shortly after the restoration began, Lee Boozer saw photos of the tanker posted online and contacted a friend of his, Rush Workman. Lee and Rush both got in touch with us and have provided us with a wealth of information about the tanker’s history. We all keep in touch by email, and Lee and Rush continue to ask questions around the local community in the hope of finding someone with more information about the tanker’s early years. Lee had recognised the Diamond T tanker from an estate auction that he attended in 2010. 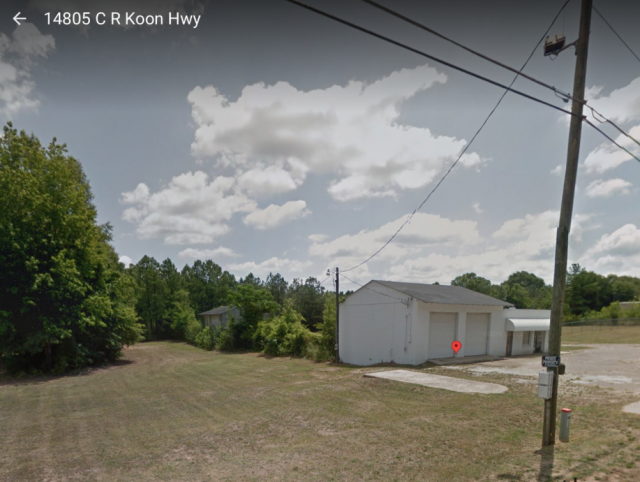 The property at 14805 C R Koon Highway, Newberry had belonged to Wayne Turner, and the business had operated as Turner Towing. 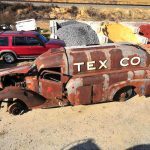 Following Mr Turner’s passing, an auction was held to dispose of the numerous vehicles and wrecks that were stored at the property. 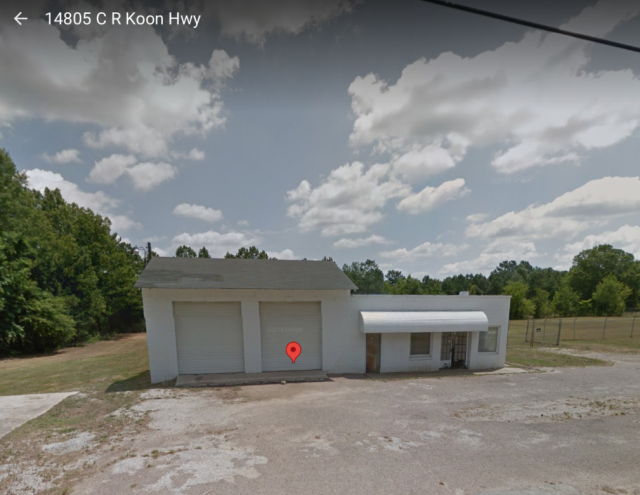 Google Map images of 14805 C R Koon Highway. The tanker was “back in the tree line probably 75 yards behind the building”. Lee searched back in his records and found that the auction was held on 24th July 2010. He also mentioned that a number of scrap dealers were bidding that day. 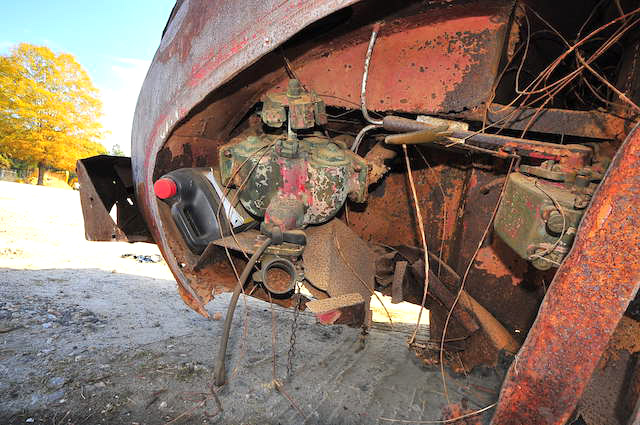 How easily the story of this tanker could have ended there and then. But thankfully, the Diamond T was purchased by someone who already had a long running history with the truck, Mr Billy Ackerman. 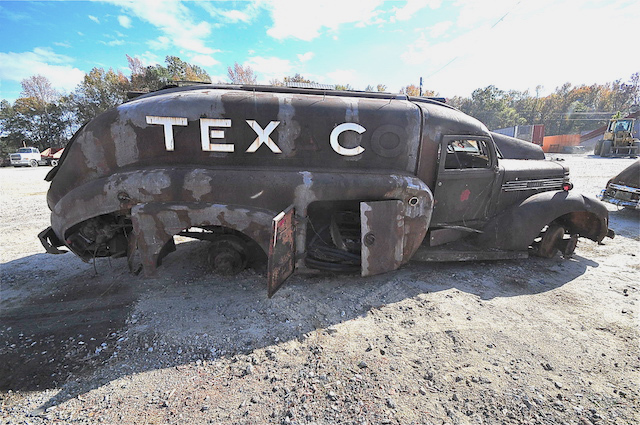 Billy Ackerman owns Ackerman’s Used Parts in Newberry County and has operated his business for over 45 years. 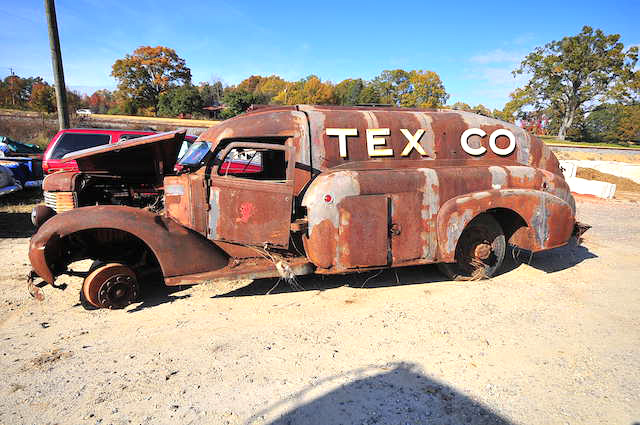 Billy originally purchased the ’38 Texaco tanker back around 1980 from a local timber business on Boyd Crossing Road called the Mill Lumber Co.
Billy’s understanding is that the Diamond T tanker was bought new by the Texaco distributor in Newberry County and used locally for gas deliveries for many years. 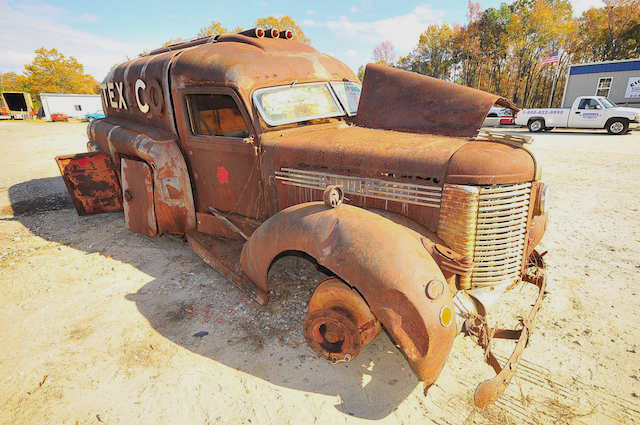 It was then sold to the lumber mill and used as a water tank truck in the yard. 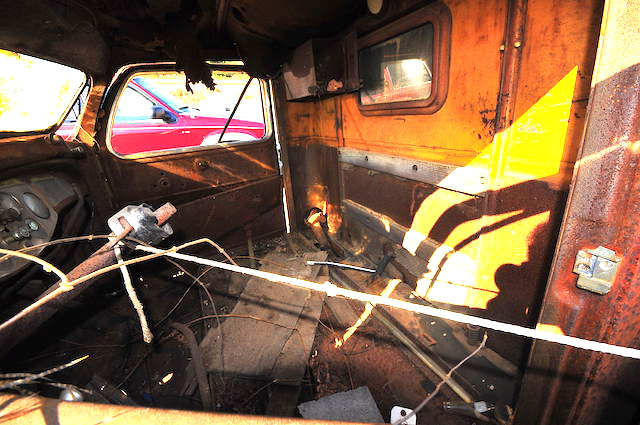 The truck remained at the lumber yard for several more years after Billy bought it, until that business closed and it had to be moved. Billy then asked his good friend, Wayne Turner, to take the tanker to his towing yard for storage. There it sat for approximately 25 years until Wayne Turner’s passing. Due to a lack of paperwork, the Diamond T was technically part of Mr Turner’s estate so Billy purchased it again to save it from an uncertain fate. Remnants of the lumber yard structures still remain today. The tanker was used to water down the roadways in the yard, and to keep the logs damp prior to them being milled. 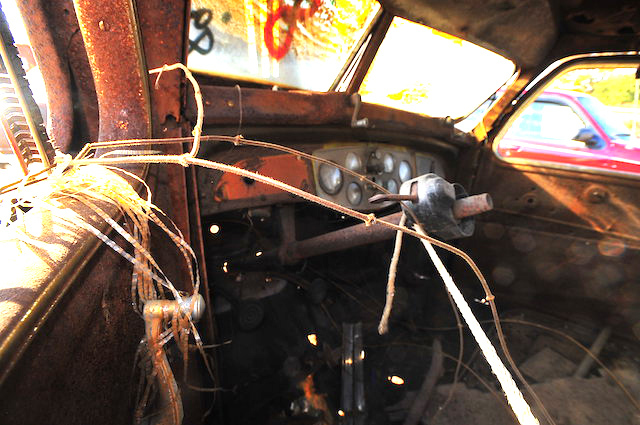 Rush Workman is a photographer who has taken eBay listing photos for Ackerman’s Used Parts for more than 8 years. 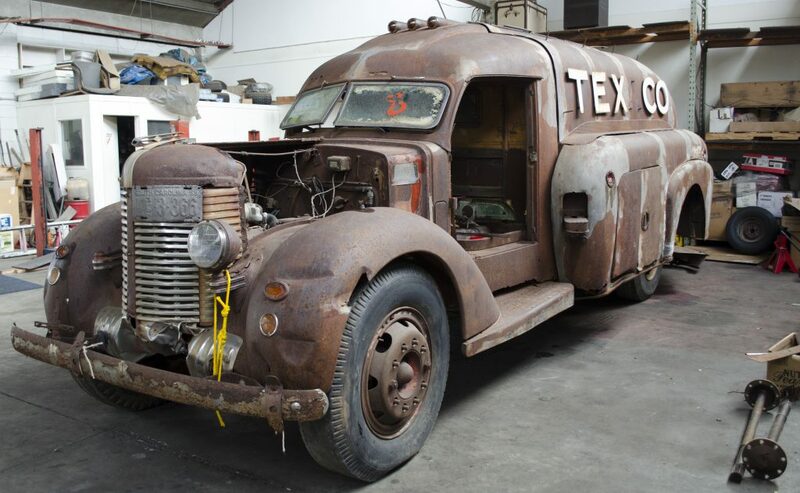 After purchasing the Diamond T from the estate sale, Billy offered the tanker for sale on eBay. 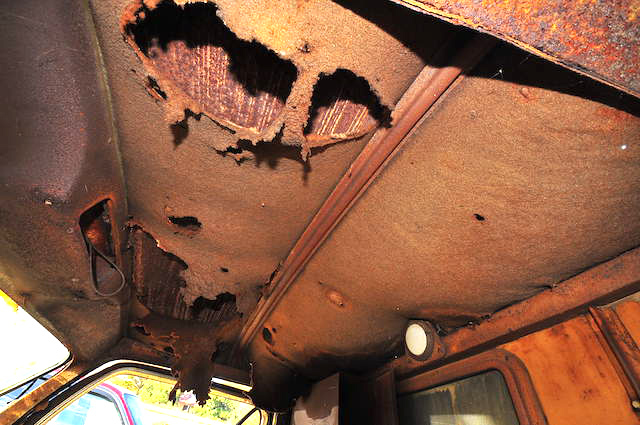 Billy’s wish was to find someone who would preserve the wonderful old piece of automotive history. 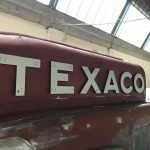 So Rush was asked to photograph the ‘1938 Diamond T Texaco tanker’ in order to list it and advertise it for sale around the world. Initially, Rush wasn’t sure if he had saved these photos or not. But after searching through his old drives, he came across the set of photos from the listing. 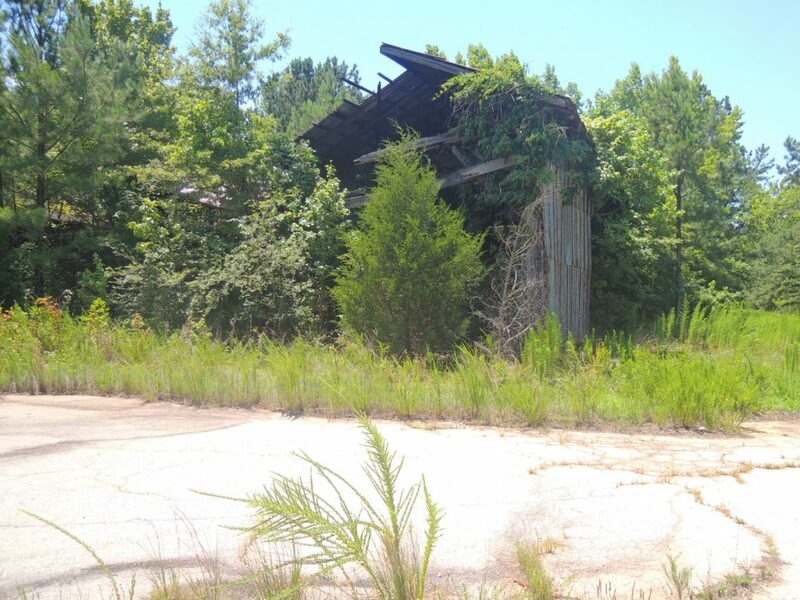 The following shots were taken in Newberry County in 2010, and Rush has kindly permitted me to share them on this site. 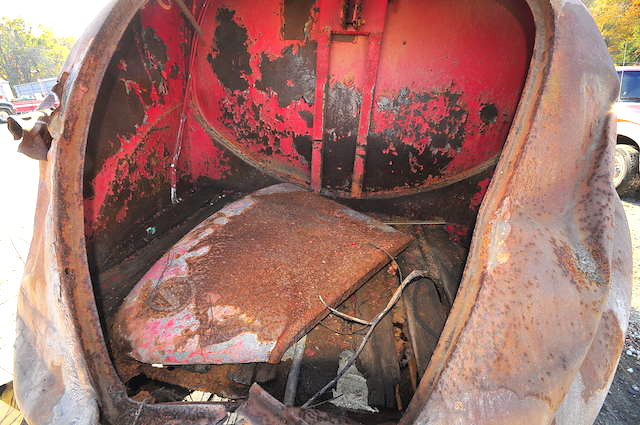 Lee Boozer’s help in discovering the tanker’s history didn’t end with the details of the estate auction. 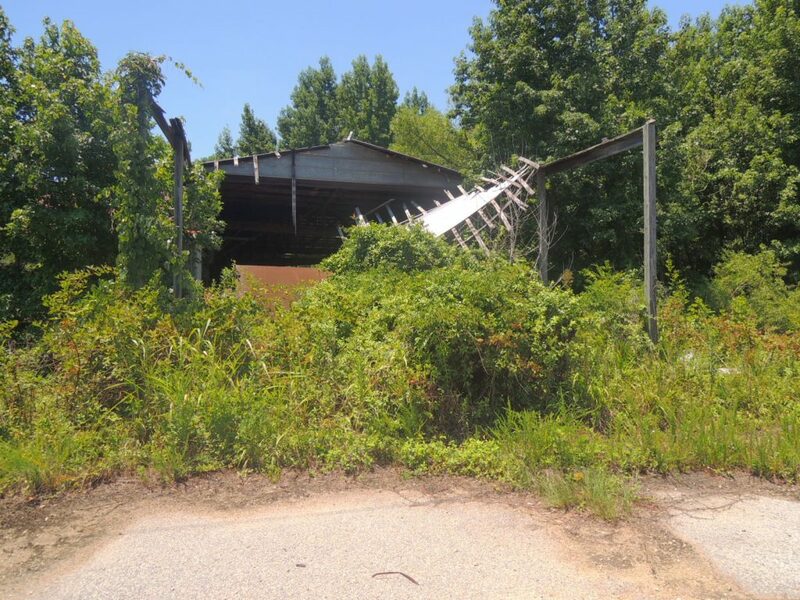 When Lee was told of the connection to the lumber yard, he knew that the property right next door used to be home to a gas station and a Texaco distributor. Up to this point, I have been unable to find any written verification that the tanker was in service at the Texaco site next door. 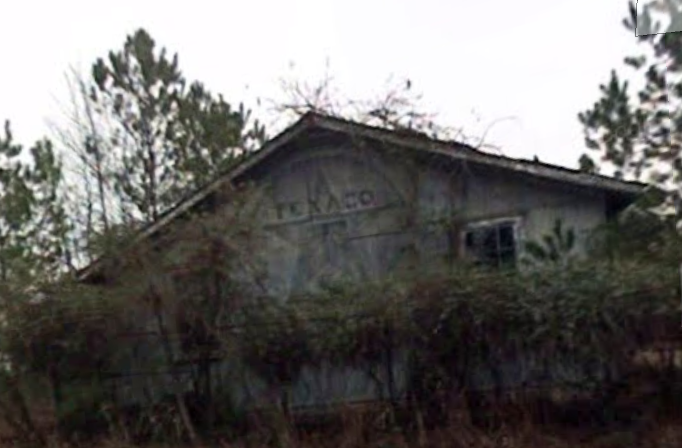 But after numerous emails, and considering the close proximity of the lumber yard to the Texaco distributor, I am confident that Lee has given us the details of the tanker’s original home. 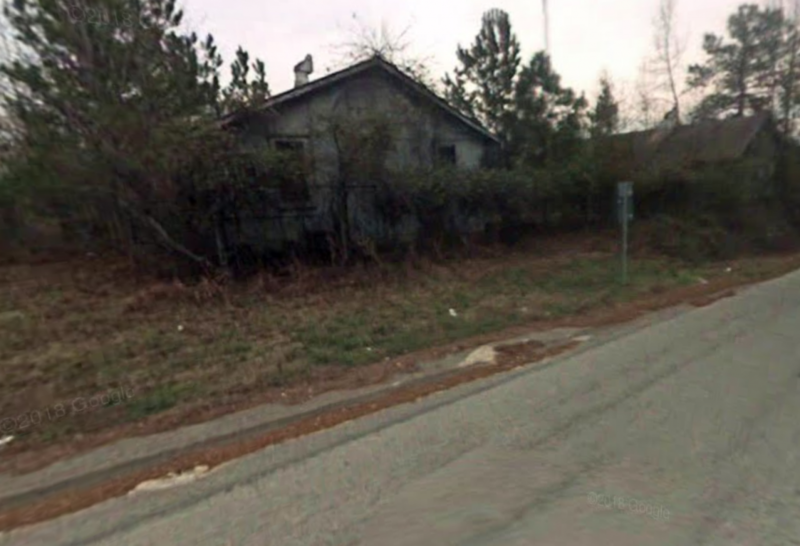 The property in question is on the corner of C R Koon Highway and Boyd Crossing Road. 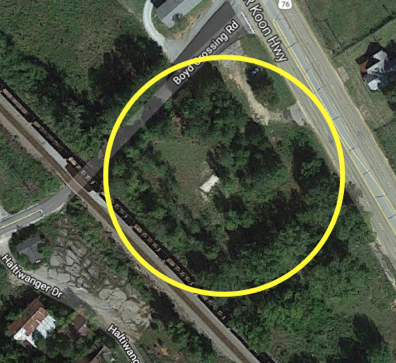 The numerous buildings that are shown in the Google Map image, to the left of the highlighted circle, are the remaining structures from the lumber yard. 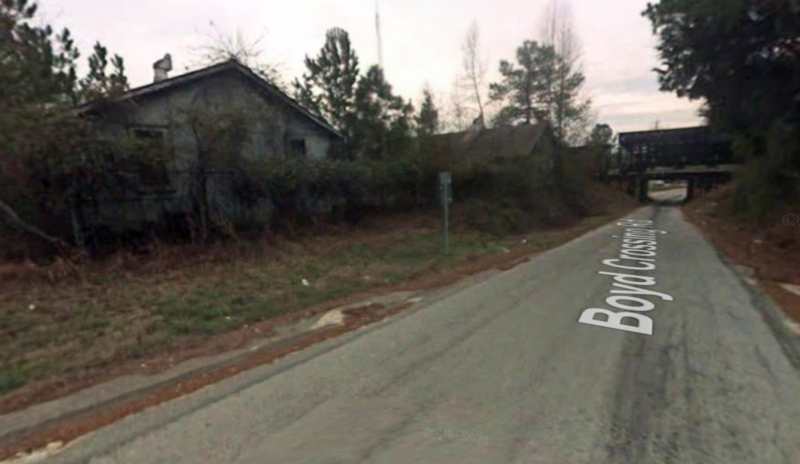 I understand the yard operated on both sides of Boyd Crossing Road. 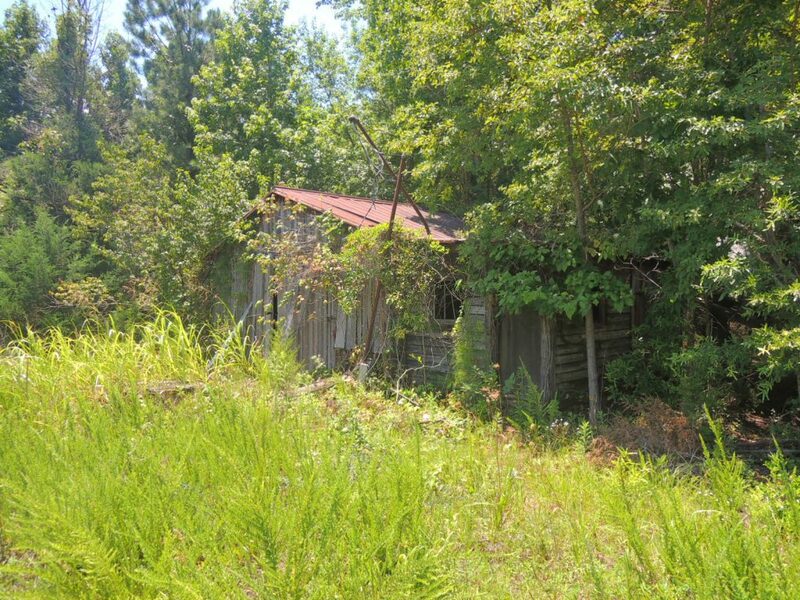 Situated on the corner where C R Koon Highway and Boyd Crossing Road meet, was a gas station. A semicircular driveway is visible on the corner and marks the position where the gas station operated from. At the opposite end of the property sits a railway line and Lee recalls that three large bulk storage tanks were situated close to the tracks. Delivery of the bulk fuel would probably have been made by rail, and the fuel pumped through pipelines to the tanks. 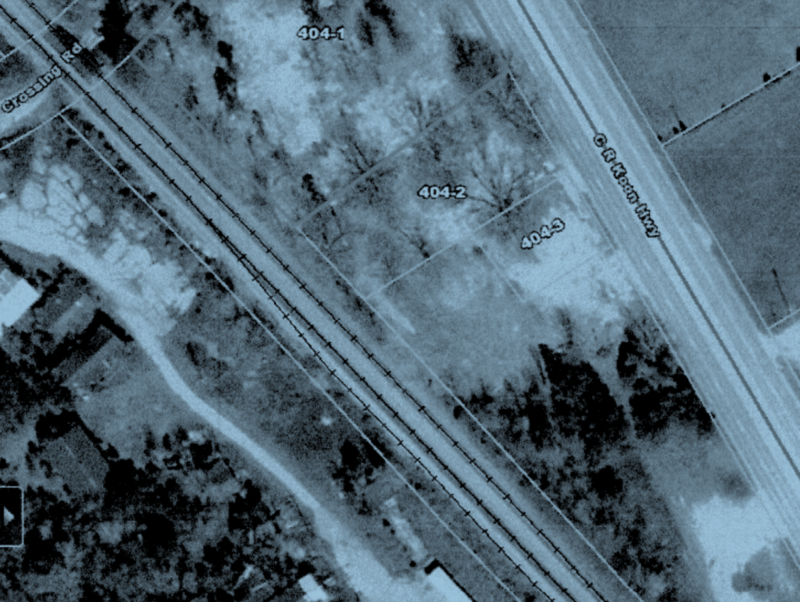 An aerial shot shows a rail siding or spur by the lumber yard. 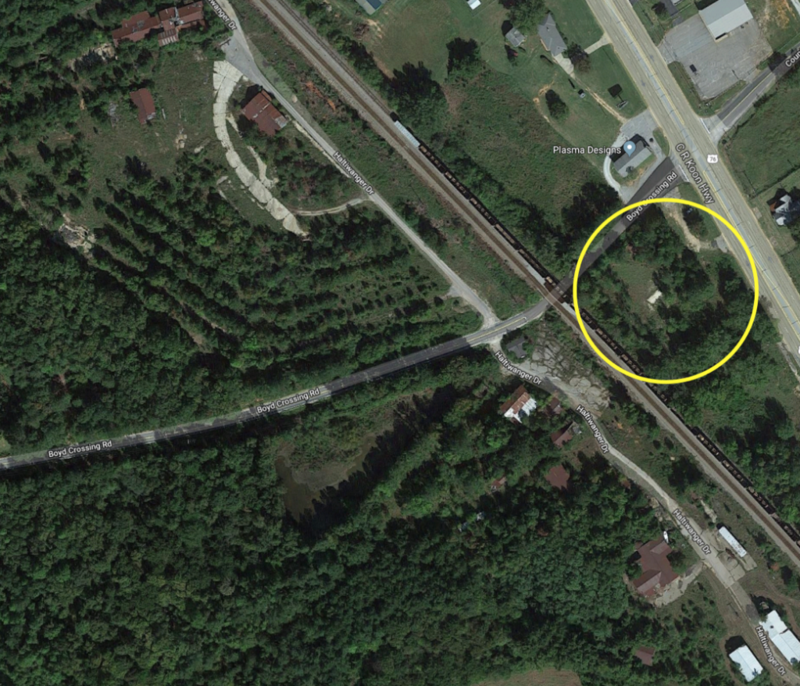 A second siding / spur was situated by the yard on the other side of Boyd Crossing Road. So, as well as accommodating rail cars to load timber and logs on to, these sidings / spurs would have enabled railroad tank cars to be disconnected for unloading the bulk fuel. 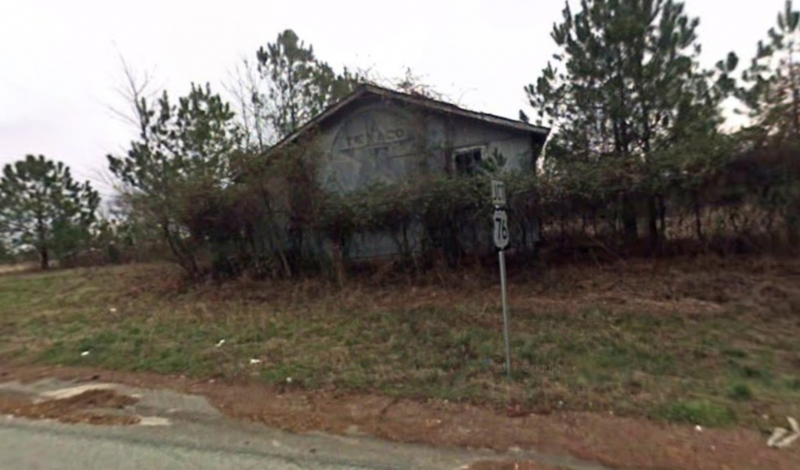 When Lee was looking on Google Maps to send me the location, he discovered that a street view image of the Texaco distributor’s buildings had been captured by Google back in February 2008. I have never been so happy to find a map so out of date! These two images are looking down Boyd Crossing Road towards the railway line. The railway bridge indicates how close to the tracks these buildings were. The building closest to C R Koon Highway still displayed the famous Texaco star on the outside wall facing the road. According to County records, by November 2012 the buildings on the site had been demolished. 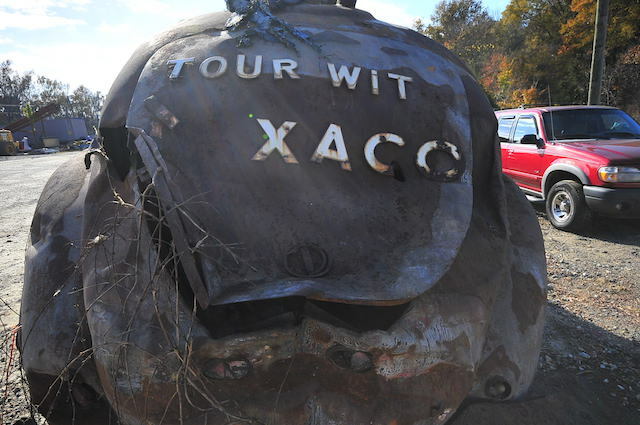 The puzzle of the tanker’s history became a little more confusing when Lee said the business that he remembers operating from the corner site was not Texaco, but Midway Oil Co. Inc. 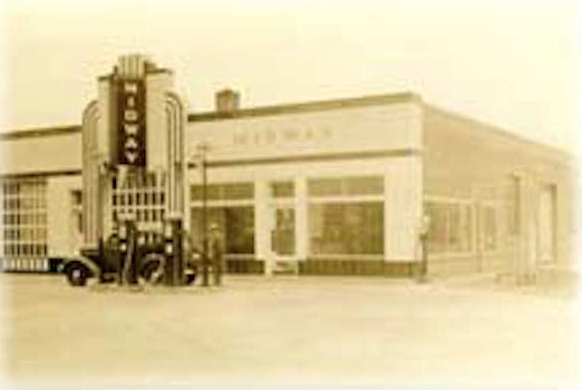 Established in 1920, Midway Oil Company was formed to deliver fuel and motor oils to the farming communities in Iowa and Illinois. The Midway Oil website notes that at its peak, it had 18 bulk fuel plants and 56 dealer gas stations nationwide. 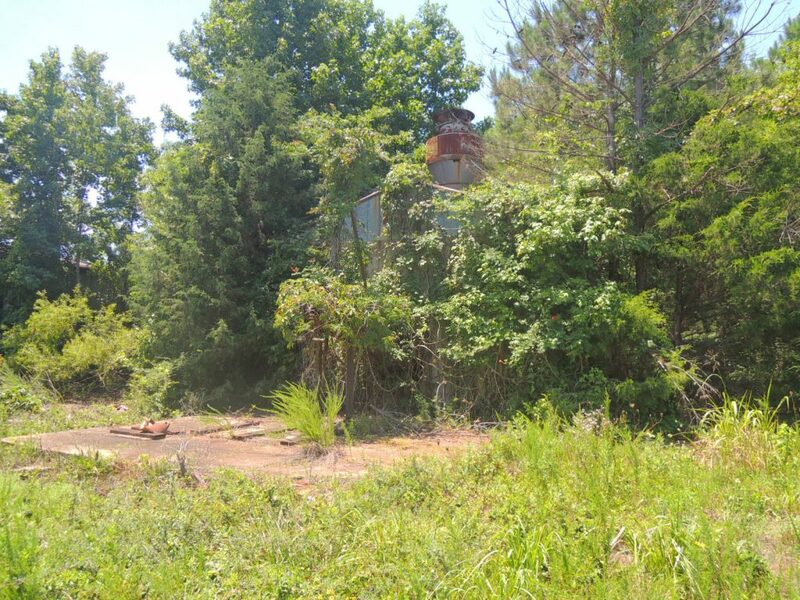 To discover the connection between Midway Oil and Texaco, I engaged the services of Sanders Abstracting to research the history of the land parcel, ID 404-1, in Newberry County. 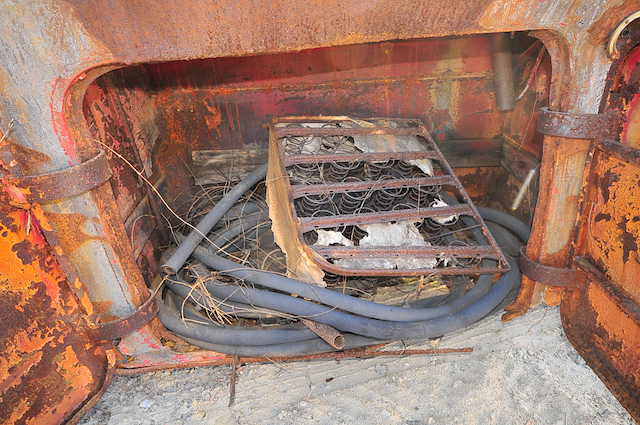 The deed search took us back to December 1930, eight years before the tanker was manufactured. It also revealed that the ‘corner site’ was originally two separate lots. 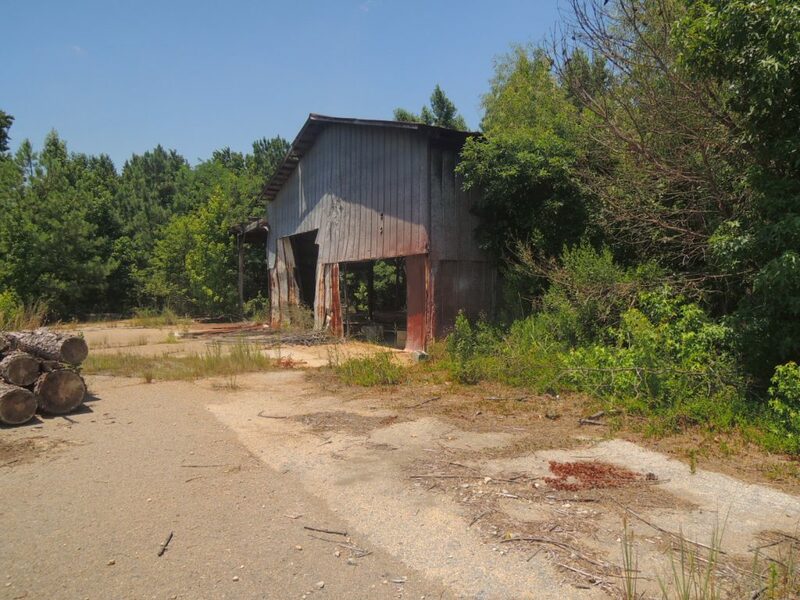 Prior to The Texas Company purchasing the site in Newberry County, SC in 1930, the land had already been developed for another petroleum business, The Dominick Oil Company. Two 10′ x 38′ above ground storage tanks had been constructed on brick supports, two 2″ Viking pumps were in use and the associated pipework was in place. Out of interest, I searched for Viking Pumps and found that the company still produces pumps today. 1920’s | Viking Pump experienced an acceleration in growth due to successfully meeting the needs of the oil industry in their efforts to transport by railroad tank car. This need enabled the company to stay ahead during the Great Depression and beyond. 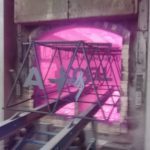 This strengthens our theory that the bulk fuel would have been delivered to the site by rail, and pumped in to the storage tanks. On 2nd December 1930, The Dominick Oil Company sold the parcel of land to The Texas Company. The deed, which was laboriously hand written, detailed all the buildings, plant and equipment that were included in the sale. 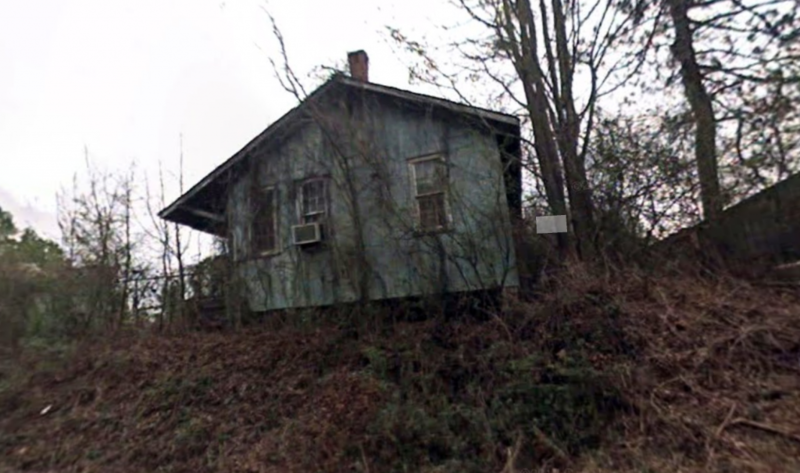 As well as the storage tanks, pumps and pipework, some of the other property described in the document included a corrugated iron warehouse, 24′ x 80′, a corrugated iron garage, 30′ x 20′, a corrugated iron pump house, 8′ x 12′, and several other structures. 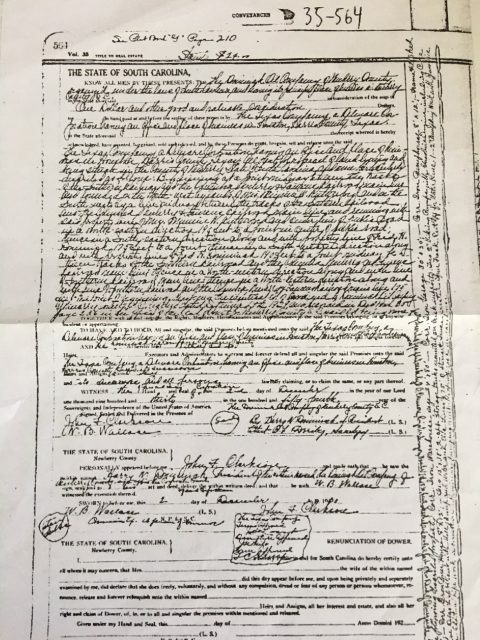 The 1930 transfer of ownership between The Dominick Oil Co and The Texas Co. 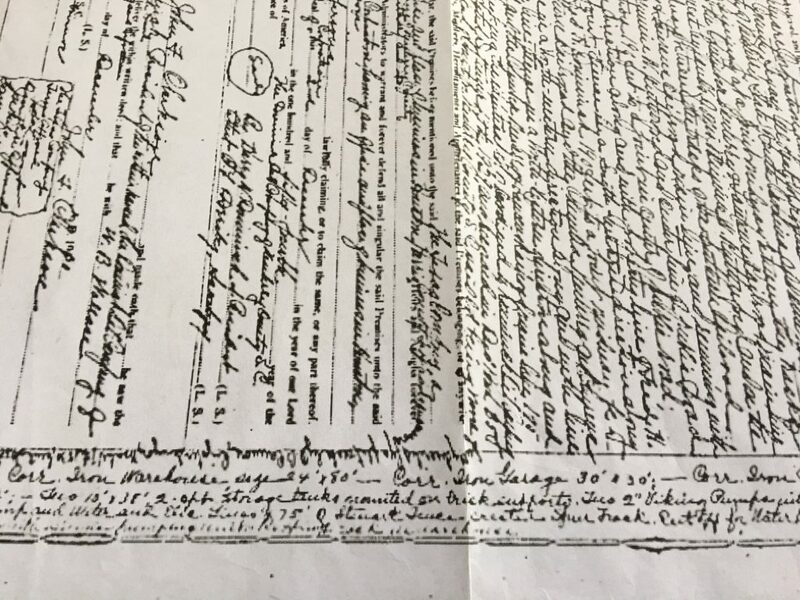 The description of the additional property was written vertically up the side of the deed document. The boundary line that ran parallel with, and was closest to, C R Koon Highway was approximately 150 feet back on one corner and approximately 125 feet back on the other. This meant another parcel of land separated the Texas Co lot from C R Koon Highway. One of the documents provided in the deed search indicates that Midway Oil bought the other lot closest to the highway in 1950. I have not yet had information verified on this site but it is possible that the gas station was built and operated by Midway Oil. 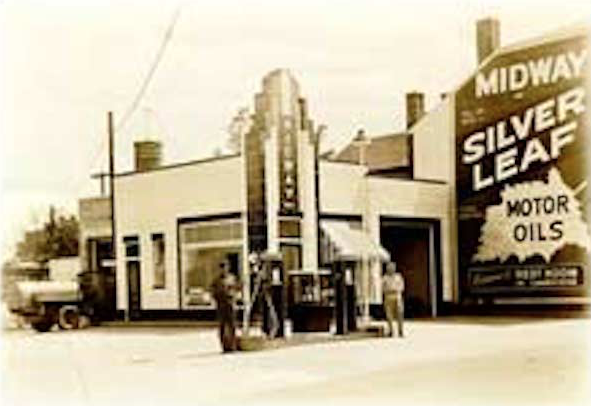 Another possibility is that the gas station had already existed in 1950 and had been owned and run by another gas and oil dealership prior to that date. For the next four and a half decades, the land parcel described in the deed remained the property of Texaco Inc. In 1973, Texaco bought the adjoining piece of land from Midway Oil Co., thereby forming one parcel of land on the corner site. 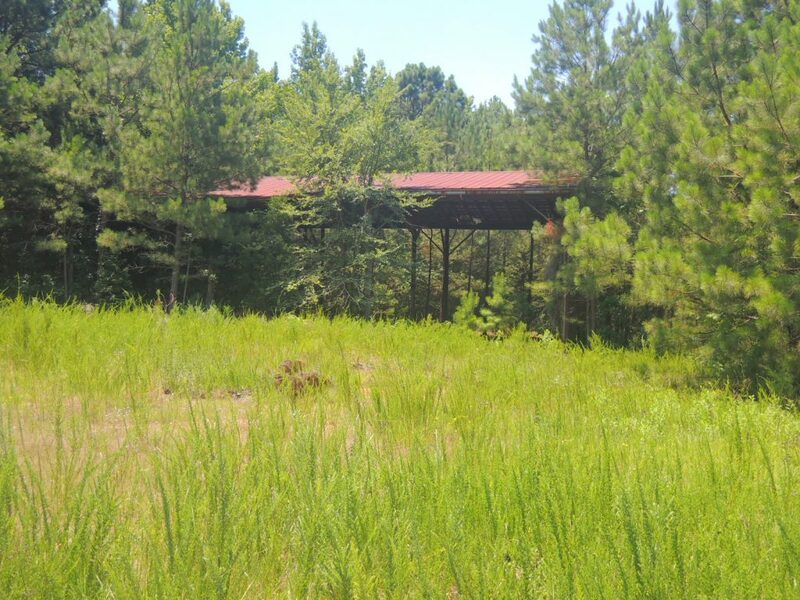 Texaco’s association with this land in Newberry County ended in 1976 when it sold the entire parcel of land back to Midway Oil Co. The deed, dated 3rd September 1976, noted that three above-ground storage tanks with a total capacity of 61,050 gallons were located on the property. Our quest for more information on the tanker’s history will continue, and I am hopeful that the Chevron Corporate Archive may have documentation relating to Newberry County, SC. Hopefully, there will be a Part 2 of this post with written verification one day. The ultimate discovery for us would be a photo of the tanker in service, and the corner site when it was operational. Lee Boozer, Rush Workman and Billy Ackerman have all been instrumental in discovering the tanker’s history. 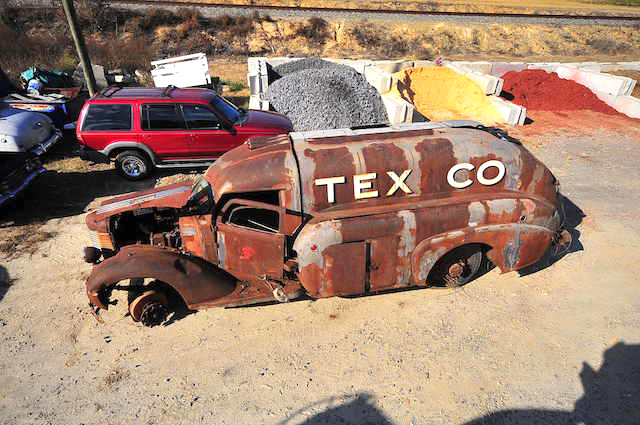 Without their help, we may never have known the origins of the ’38 Diamond T Texaco tanker. Our sincerest thanks and gratitude to them all. That’s really interesting stuff, more pieces of the puzzle of the tankers life. Great work. Also quite sad to see some of the buildings etc being demolished and disused, much like parts of NZ where the population has shifted to the major cities leaving the small towns to slowly die away. Thanks Justin. It has been fascinating to also study and learn about the history of Newberry County. The tanker sure is a long way from home now! Thanks so much Ern. Happy New Year to you too! That makes the whole story more interesting. 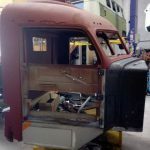 “She was rode hard,and put away wet”, wet enough to rust, and lost a few battles in her life, kicked and abused, but God always makes something beautiful out of something ugly. Time has come, and she will be the “Diamond T Queen” that she so deserved to be in her youth. THANK YOU soooooo much for sticking to it! This is one of the most worthy projects out there. Thanks Jerry. We appreciate your ongoing support and encouragement. Great Stuff Guys , and a Bloody Good Read too. So enjoyed this entry. History is as important as seeing the Tanker in the flesh. And isn’t it amazing how the Internet has made research so more productive. Thanks so much Rick. The internet has been invaluable in this instance.